A devoted educator, Magdalena Garbalinska teaches private violin lessons, and coaches ensembles and group classes for students of all ages. She has been a faculty member of the Rhoda Grundman School of Music since 2013. Coaching students of all skill levels, she prepares many for competitions, exams, auditions and guides them in their exploration of the world of the violin. Once a violin teaching assistant, at Western Michigan University School of Music in Kalamazoo, MI, Magdalena is now a faculty member for their Summer Music Seminar for high school age students. She also teaches at the Music Institute of Long Island in Manhasset, NY. 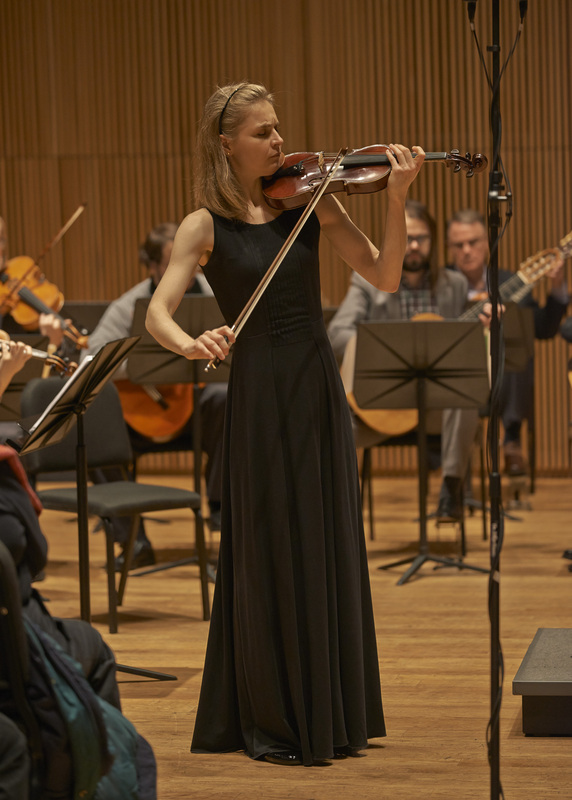 Magdalena earned her Master’s degrees in violin performance from the F. Chopin University of Music in Warsaw, Poland and from the Manhattan School of Music in New York City. When she came to New York City for graduate school, Ms. Garbalinska was very involved with NYC public school violin outreach programs. She is also a coach and conductor of a unique orchestra for adult string players called The New York Late Starters Orchestra (NYLSO), which provides a welcoming environment for anyone aged 18 and over to explore orchestral playing. The orchestra was recently featured in a book by Ari Goldman entitled The Late Starters Orchestra.